A small print of Studland Beach is pinned to the wall of my studio, and as I work or daydream I catch its calm presence from the corner of my eye. Sometimes, influenced by my own melancholy state of mind, I see the beach hut and the isolation of the figures. At other times, and in another mood, I’m drawn into the complex abstraction of form, space and perspective, the picture capturing in its perimeters brushstrokes of blues and a triangular wedge of creamy stippling. Studland Beach expresses a personal experience of particular emotion in a particular time. Ican get lost in contemplation of the painting, and when this happens I’m completely set free from the practical problems in my own work. This state sets free a pure and disembodied functioning of the spirit, a sudden liberation which encourages one to feel for oneself, in Vanessa Bell’s words, ‘free from art politics’. Then, when I return to my own work, I know where to go. For me, painting involves lots of looking, hours of contemplation – much more than actual brushwork. The shapes and the figures in Studland Beach are uncompromisingly two-dimensional, simplified and abstracted so that the emphasis is on form and colour rather than on any overt narrative or representational content. The result is a spiritual rendering that transcends both commentary and conventional morality. The painting was first shown in the Post-Impressionist Exhibition of 1912 by Roger Fry at the Grafton Gallery in London, as a deliberate challenge to the more reactionary members of the art establishment. Because it was executed by a woman who was an integral member of the Bloomsbury group, even in reproduction my favourite painting never ceases to transport me joyfully into the romantic, evocative and elusive world that was Bloomsbury. 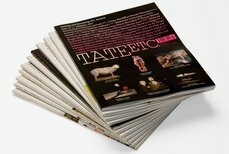 This article was originally published in Tate Magazine issue 3.